Made this card for my Copic markers buyer who uses Copic markers in her arts. 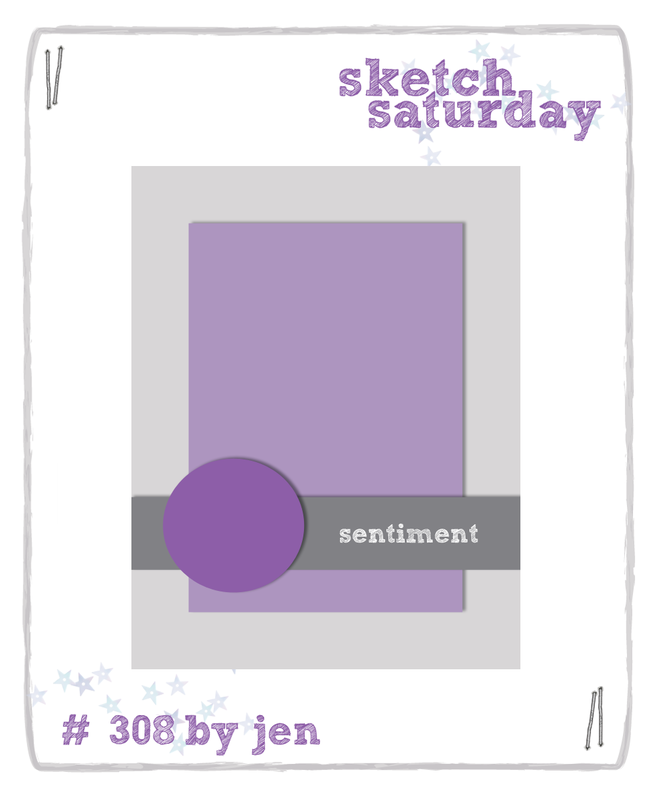 I adopt the simple sketch from Sketch Saturday Week #308 as shown above. 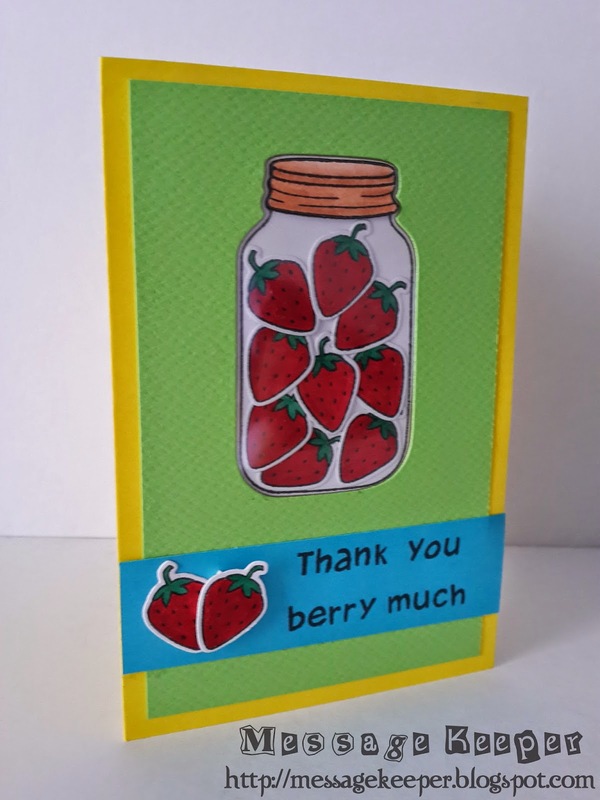 The mason jar is stamped on a white card stock before it is die cut using the matching dies. 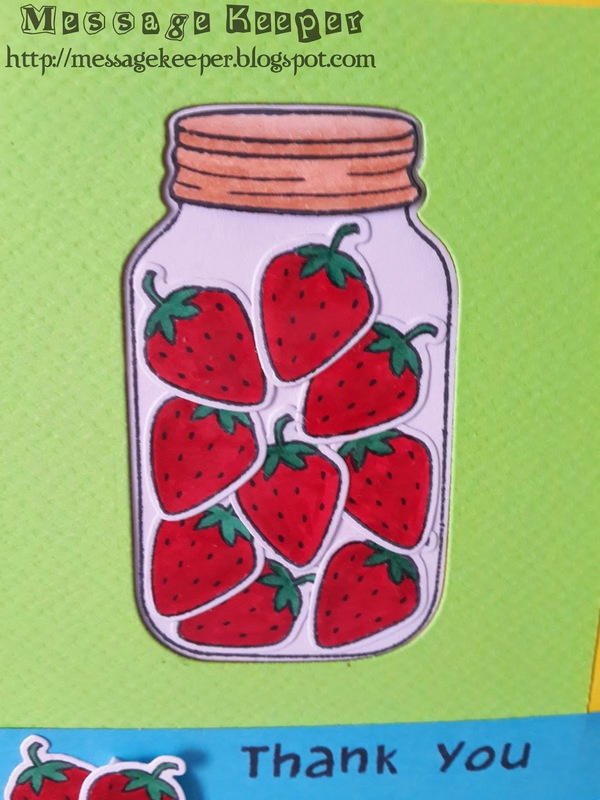 Some strawberries are stamped and colored using Copic markers and die cut using the matching dies as well. A separate mason jar lid is stamped and colored using Copic markers before it is trimmed. On a green card stock, another mason jar is die cut to get the mason jar negative. An acetate is attached behind of the mason jar negative which acts as the mason jar glass. After attaching the strawberries inside of the mason jar, the mason jar with strawberries are attached to the acetate. The green panel is then attached onto a yellow card base. The mason jar lid is attached onto the acetate. The sentiment is customized using alphabets and stamped on a blue strip. It is then attached onto the green panel as in sketch. Two (2) strawberries are attached beside the sentiment on the left as in sketch. The strawberry on the right (overlapping the strawberry on the left) is attached using pop dots to give some dimension. Edit to add : This has card won Eclectic Ellapu - Feeling Fruity runner up. Please read here or refer here. Haha what a fab, fun card! Very sweet and love the berries!